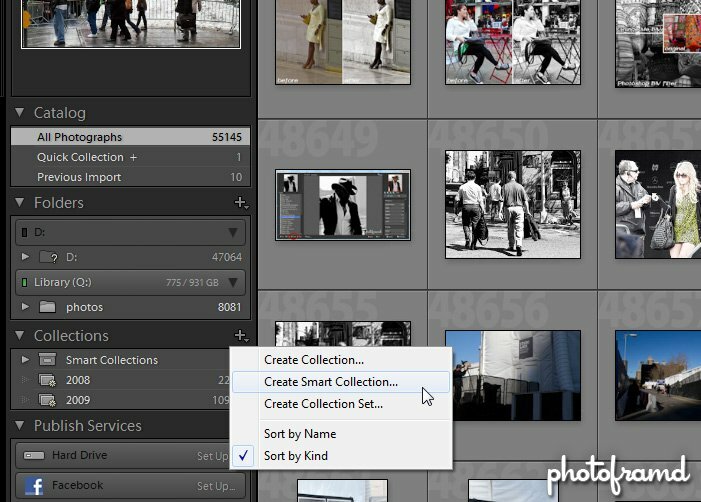 If you have been using Lightroom for a while, you probably have created some Collections. Find a group of photos that you like and group them together in a virtual catalog for quick access in the future. The problem with Collections is that they are static. The only way they will expand is when you remember to physically add new photos. Wouldn’t it be nice to have Lightroom do that for you automatically?? Well, you can by using Smart Collections. As I mentioned in my last article, I now have 55,000 photos in my Lightroom 3 Catalog. I have always kept my photos grouped by years and want to reorganize my new catalog by year even though it contains many photos from Archive data DVDs and Blu-ray disks. 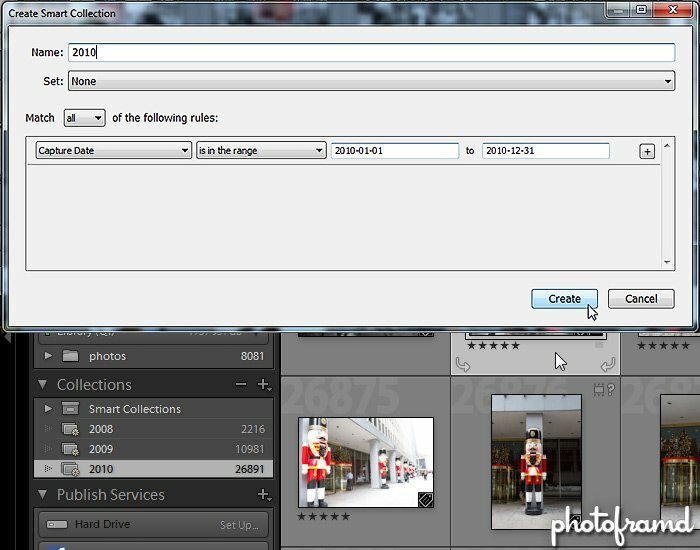 I can use Smart Collections to organize them and automatically add new photos to the correct year as they are imported into My Catalog. Want to find all your fisheye shots? Easy using Lens field. Want to find all your photos taken on the Fourth of July? Also easy using the Capture Date field. Want to find all of your shots containing fireworks? Well, that depends on if you added “fireworks” as a keyword to those photos. But, if you put the effort in, even managing 55,000 photos becomes possible with Lightroom 3 and Smart Collections! Hell Froze Over –I’m Using Lightroom 3!